Comedian Sunil Grover, who is all set to launch his new show Jio Dhan Dhana Dhan Live, said that if 'God's willing, he and former co-star Kapil Sharma will work together again,' reports news agency IANS. The duo had parted ways last year after a mid-air fight while flying home from Australia. After that, Sunil Grover had quit The Kapil Sharma Show. "I really had a nice experience whenever I have worked with him. Kapil is a very talented artiste and he makes people laugh through his performances. I pray for his good health and I hope he will continue doing his job. God willing, we will definitely work together," he told IANS. Before The Kapil Sharma Show, the former co-stars featured together in another hit show Comedy Nights With Kapil. For Jio Dhan Dhana Dhan Live, Sunil Grover has partnered with Bigg Boss 11 winner Shilpa Shinde and Kapil Sharma's former co-stars Sugandha Mishra, Ali Asgar. The show will premiere during IPL 2018 matches on Jio TV app. Meanwhile, Kapil Sharma, whose last show The Kapil Sharma Show was taken off due to low TRPs and his deteriorating health conditions, has made a comeback. The new show is titled Family Time With Kapil Sharma and started airing a couple of weekends ago. 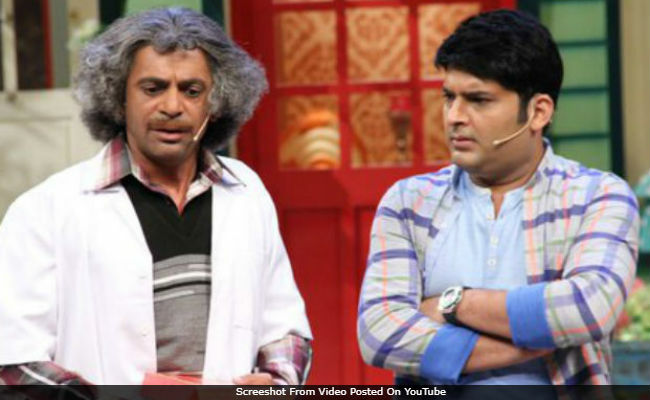 On being asked about a possible competition with other comedians and Kapil Sharma's new show, Sunil Grover told IANS, "There is nothing like competition. If more artistes come forward to make people laugh, then it is good for the audience as they will have less tension in their lives. Laughter and happiness are necessary for our country. So the more people laugh, it is more beneficial for their health."